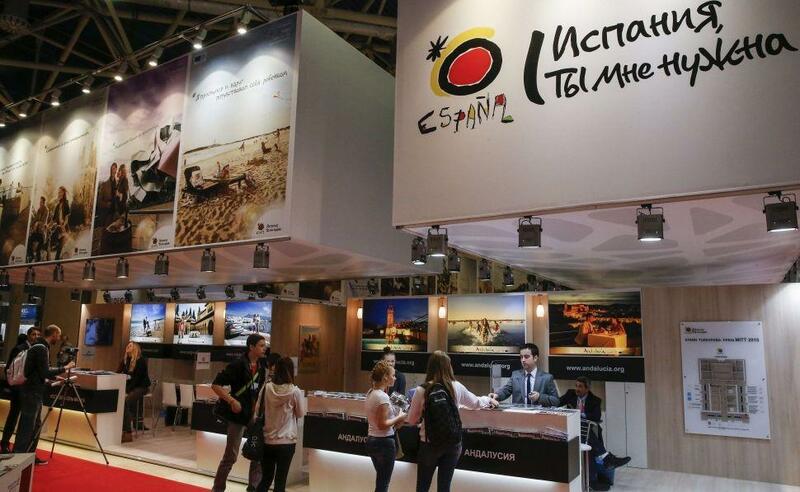 Representatives of the Costa Blanca Tourist Board have taken part at the Intourmarket and MITT Trade Fairs in Moscow in order to promote the Alicante province as a tourist destination. These fairs are considered two of the most important in the sector. According to data from the National Institute of Statistics, during the past year more than one million three hundred thousand Russians spent their holidays in Spain. Nowadays the Alicante-Elche airport offers direct flights with Moscow and St. Petersburg. At least one hundred thousand Russians spend their vacations every year on the Costa Blanca. Vice President and Deputy of Tourism, Eduardo Dolón, stressed the need to continue to promote the province so as to strengthen the Costa Blanca brand in Russia to favour the arrival of tourists. The MITT Fair is an important event that annually brings together about 28,000 professionals and more than 1,600 exhibitors. The Intourmarket features the tourist destinations preferred by the Russians, including Spain.